We’re so glad you’re considering adopting a Cat! For a kitty you need the basics, but also some fun things that you may wish to add at a later date here is a list of neccessary and suggested items to help your new friend feel right at home! Talk to your family members before bringing a new cat home. Make sure everyone knows that the fun begins only after kitty feels safe and it’s needs are met. Once you’re sure everyone is ready for feeding, litter changing and grooming, you can divvy up chores among family members so everyone is prepared to care for kitty before she arrives. The average cat has a vocabulary of more than 16 different sounds, including purring, howling, hissing and meowing—not to mention a wide-range of playful and serious body language. Take a look at this interesting article to decode the mystery that is your kitty. Proper identification is a necessity. If your kitty is indoors-only, an ID tag or implanted microchip will help ensure she’ll be returned to you if she gets out and can’t find her way home. A safety collar with an elastic panel will allow your cat to break loose if the collar gets caught on something. We caution against letting cats outdoors, but if you do—or if a window or door is left open—a safety collar and an ID tag may be what bring your missing cat home. 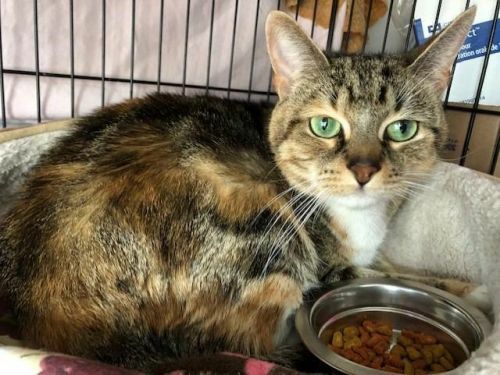 When you bring your kitty home from the Connecticut Cat Connection, they will already have a microchip, please check your email to register it under your name, phone number, and address as soon as you get it. Choose a low-traffic room your kids and other pets don’t frequent—this will be your cat’s safe space to sniff, eat, scratch and play while she gets her bearings. Arrange her food and water bowls, bed and litter box—and scatter her toys around. You can even clean off a windowsill for her and have soft music playing. She’ll appreciate the chance to feel out her new family from inside her haven. Give your cat a little structure to lean on. For the first few weeks, provide him with the same kind of food and feeding schedule he had before living with you—and give him the same brand of litter, too, for a familiar scent and feel on his paws. Later on, if you wish to switch to different products, you can make a slow transition. If you request it, we can give you a small bag of food and litter to start you off. Go slow at first. A cat may need seven to fourteen days to relax into her new environment. If you have kids, let them introduce themselves one at a time. Hold up on the meet-and-greets with friends, neighbors and relatives until your kitty is eating and eliminating on a normal schedule. If you have other pets, don’t let your new addition have free run of the house. This is the territory of the animals who have lived with you already. Allow all of your pets to meet in the new cat’s territory—and make sure you’re there to supervise. Put away harsh cleaning products, human medications and household poisons, and rehome anyhouseplants that might be toxic to her. Make sure foods that aren’t healthy for a cat’s tummy are placed securely out of reach. Alright, I think I’m ready, what now? Now, you can stop by our adoption center on either Saturday from 12-4, Monday thru Friday from 5 PM to 7 PM, or Sunday by appointment. You can also call and make an appointment during the week if that is easier on your schedule at 860-219-9396. You can also fill out our application here..